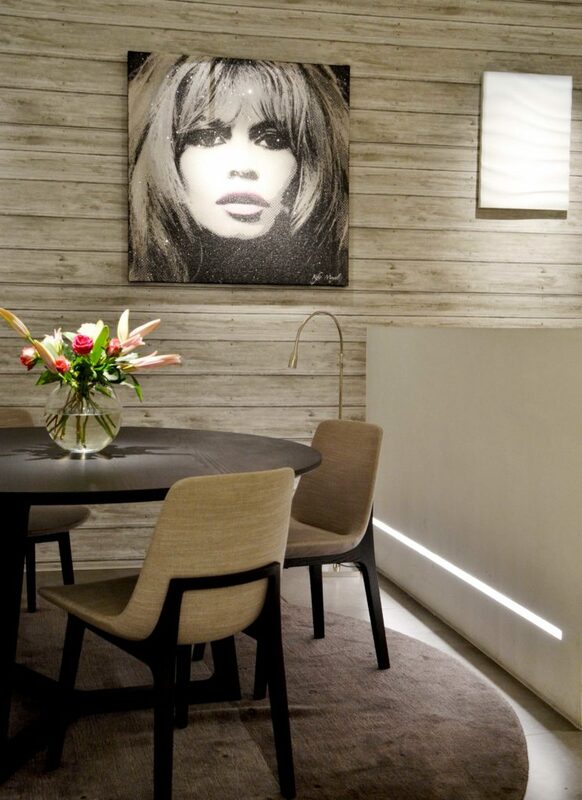 When it comes to choosing art for interiors, too often artwork is treated as an afterthought. When chosen thoughtfully, art has the ability to transform a space and infuse it with personality. As our showroom turned into a modern art exhibition for the next two weeks, we invite you to visit and see the stunning work curated by Interior Designer Maurizio Pellizzoni. 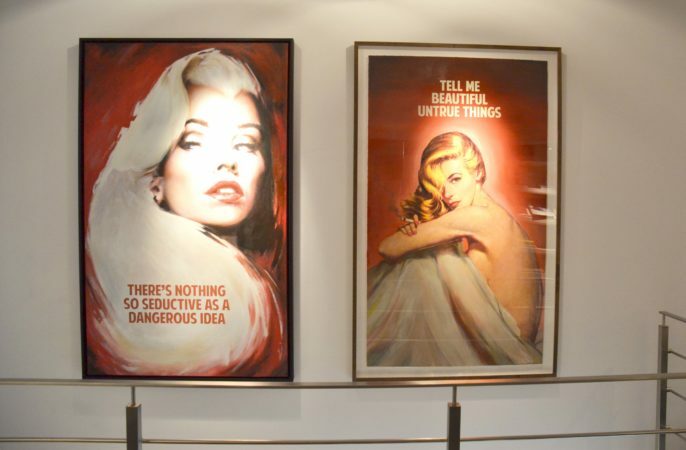 Our exclusive display, courtesy of Maddox Gallery, features stunning contemporary artists such as Mr Brainwash, Kfir Moyal, Mila Alexander, Mike Dargas, The Connor Brothers and Michael Moebius. Visit us and experience modern art within a luxurious setting. Our skilled team of lighting designers will be there to advise you on the best art lighting techniques for your existing and future pieces. 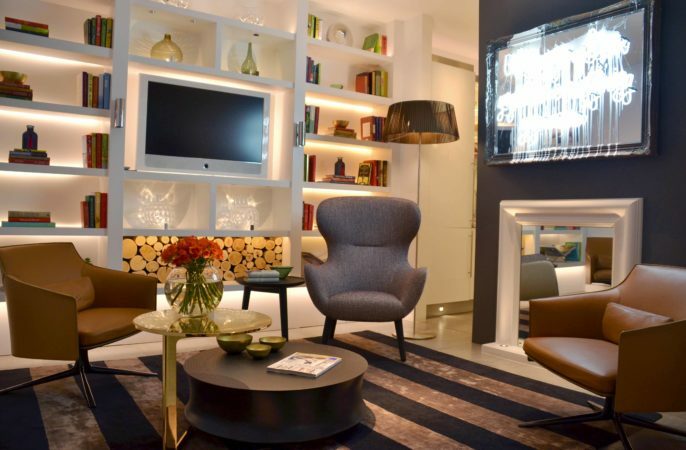 Whilst in the showroom, do not forget to ask our staff about an exclusive consultation session with Maddox Gallery. On top of the art to make our customers experience the comfort of contemporary furniture, Poliform UK provided us with pieces from their best selling collection. The Mad Joker – an armchair with a tall, enveloping backrest, which conveys a comfortable, reassuring sensation – is a real conversation starter. Accompanied by two Stanford armchairs, Baba, Soori and Mad Round Coffee Tables create the most stunning sitting area, looking just perfect in our light library. The room set-up would not be complete without decorative lighting pieces, which were the courtesy of Italian lighting designers Luci Italiance, Evi Style and Morosini Lighting. 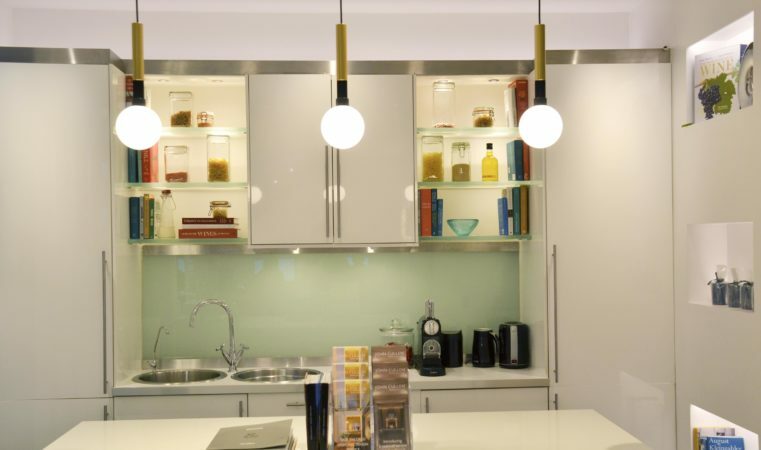 As this is a temporary display, we encourage you to visit our showroom during the next two weeks. Share your thoughts with us on Facebook, Instagram and Twitter and don’t forget to tag @johncullenlighting, @mrpellizzoni and @maddoxgallery.